Vina Flex Strip Doors and Curtains for warehouse doors and dock openings: Strip Doors and strip curtains are perfect for sealing out wind, cold, heat, insects, dust and debris. 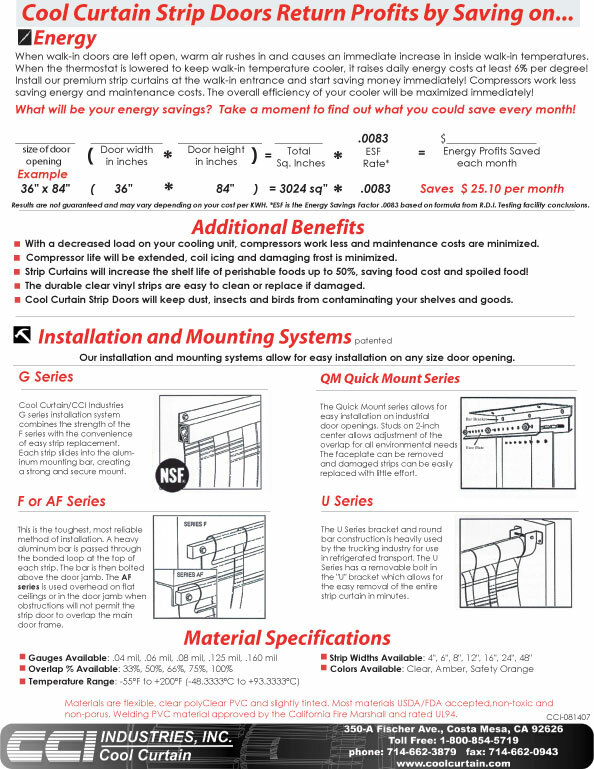 Our complete door kits include PVC strips and easy to install hardware for mounting the strips. Each strip is drilled with holes on 2" centers for easy mounting on flush-mounted angle hardware that includes bolts for easy slide on installation and removal. We carry a variety of PVC material in many gages and strip widths for any opening in any environment. PVC strip material is fire and UV resistant. 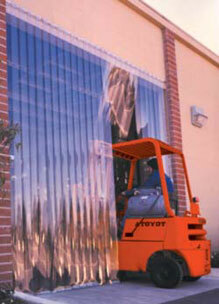 Our hardware is heavy-duty galvanized steel and can be installed on a inside or outside wall or any door jamb. 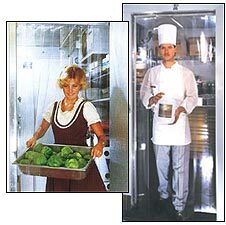 Vina Flex Strip Doors for Walk-ins: For refrigerated walk-in coolers and freezers, cold storage rooms and room size coolers and freezers, strip doors maintain temperatures inside the unit and significantly reduce energy consumption and compressor workload. When walk-in doors are left open, warm air rushes in to cause an immediate temperature increase inside refrigerated rooms and walk-ins. When you lower the thermostat to keep perishables colder, you raise your energy costs at least 6% per degree! Installing Vina Flex strip doors will also extend product shelf life by maintaining a more consistent temperature inside coolers and freezers, especially those perishables stored near the entrances. Compressors work less saving you energy and maintenance costs. Compressor life will be extended, coil icing and damaging frost is immediately eliminated and the overall efficiency of your cooler will be immediately maximized! Vina Flex Strip Doors for Refrigerated Truck Trailers: Strip doors decrease fuel consumption by up to 50% in refrigerated truck trailers and reefers. 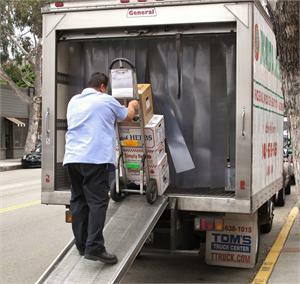 Drivers can actually turn the engine off while making deliveries without fear of loosing valuable refrigerated air when the trailer doors are opened. Deliver fresher, colder products to your customer while gaining a competitive edge and saving money. More uses for Vina Flex Strip Doors and Curtains: Excellent for use as a noise barrier. Clear PVC is inherently sound resistant. Strips can be installed anywhere where loud machinery needs to be subdued. PVC strips can also be installed to separate smoking and nonsmoking areas. Use PVC strips for outside dining areas, clean room applications, barn doors, conveyor belt entrances and many more applications. 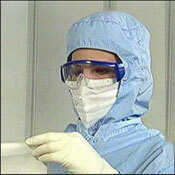 Also available in Low-Temp, Nylon Reinforced and Ribbed PVC materials! At Cool Curtain we have solutions for any of the following projects: air curtains, air doors, mars air doors, strip doors and strip curtains, heavy duty industrial and commercial swinging doors, flexible Impact Doors, Clear Vu doors, Stainless Steel swinging doors, screen doors and strip applications, No-Zap fly traps, broiler and griddle applications, night covers for open refrigerated cases, baking rack covers, insect barriers, bulk PVC strip roll stock, clean room enclosures, cold storage doors, cooler doors, room dividers, dock doors, dust control, energy control, environmental control, swinging kitchen and commercial food service doors, welding curtains and much more.